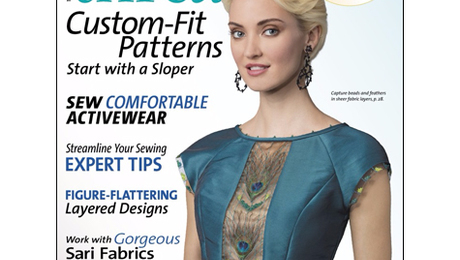 Angela Wolf demonstrates how to turn a basic jacket pattern into an asymmetrical zipped style. 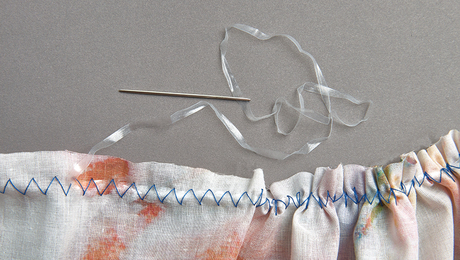 Learn to make flowing, draped garments that flatter the body. Sew gear that really works out. 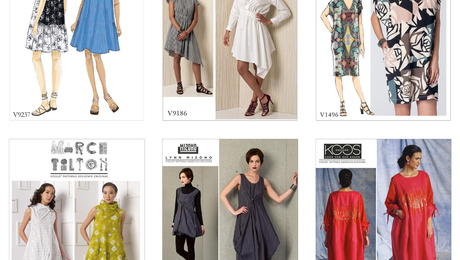 Meet some designs that are perfect for this lightweight, airy fabric. Feathers are a wonderful adornment for special-occasion garments. Make them even more lovely by encasing them in sheer fabrics. 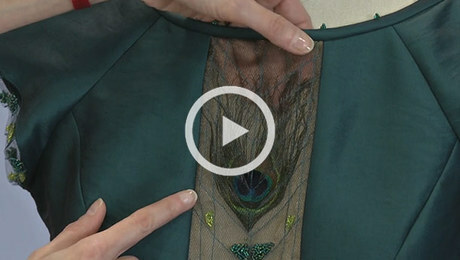 Watch to learn how to create this embellishment. 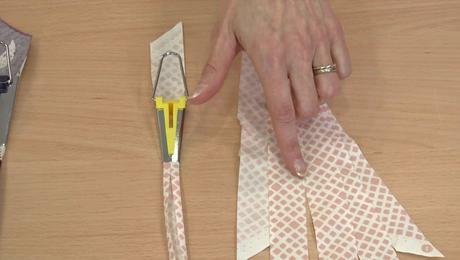 Learn how easy it is to make custom bias tape with this handy tool. 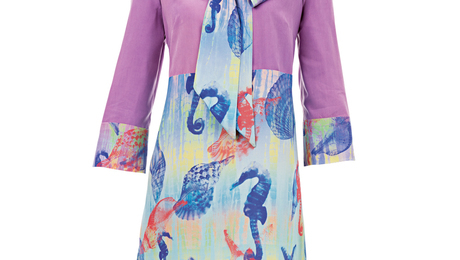 Creative recycling techniques for these alluring textiles. It’s a custom template for adjusting patterns. This Insider article will help you take this season's designs from the runway and turn them into something you can wear every day. 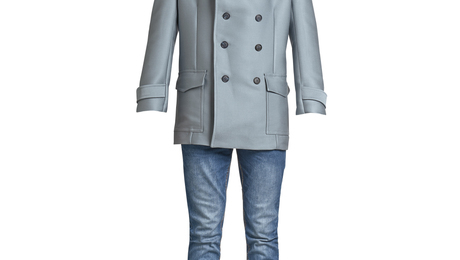 Add a pretty contrasting trim to a collar and reduce bulk in one process. 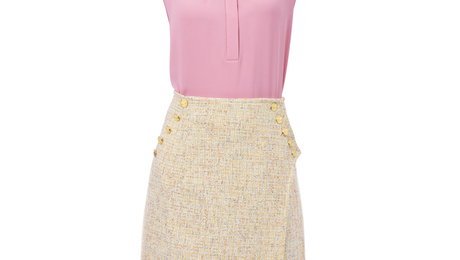 A slimming, straight wrap skirt is a work wardrobe staple. 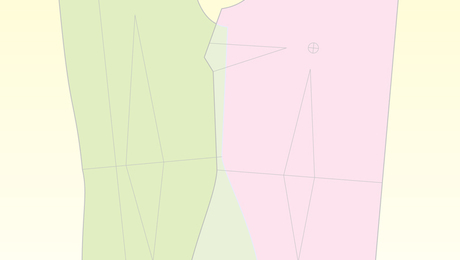 The design comes in three lengths: above the knee, just below the knee, and midcalf. Here's a clever technique that produces exceptionally even gathering. 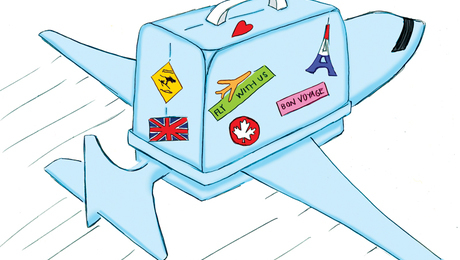 Susan Khalje offers some thoughts on taking a sewing machine on an airplane. 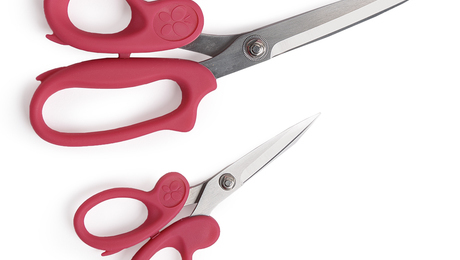 This set comes with scissors of two sizes that cut with ease. 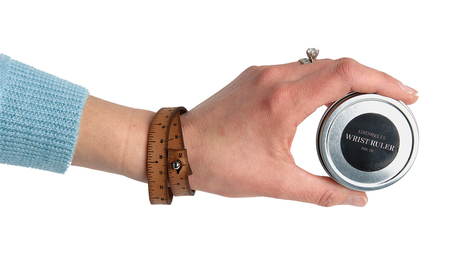 Keep your ruler close at hand with this nifty product. 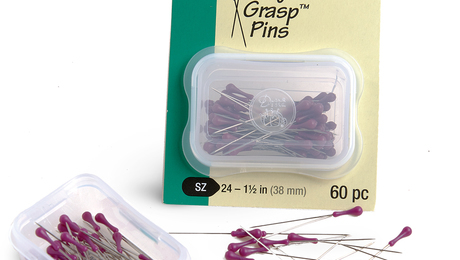 There are no easier pins to get a grip on than these pins from Dritz. 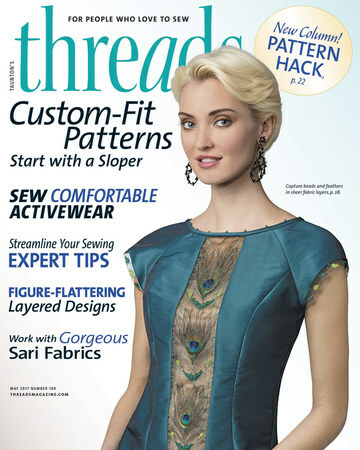 Here's what you can expect to find in the May 2017 issue of THREADS.